From manuscript to book in 3 short years! And I honestly can’t wait to share this book with the world. 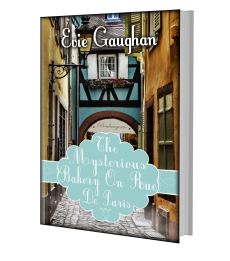 It’s been quite a while since my last novel – The Mysterious Bakery On Rue De Paris – which I published in 2014. I feel so fortunate, because that story has taken on a life of its own and is still being discovered by new readers on both sides of the Atlantic. 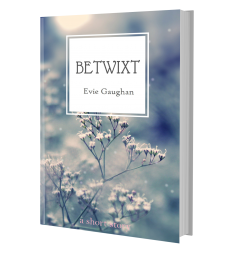 So I am a little nervous, as it’s been a while since I’ve released anything new. But that just goes to show you how long it takes to get a book written and published. The idea for the book came when I was researching something else entirely – as is often the case. I began reading and researching The Story Collector in spring 2015 and wrote the first few chapters during the summer. I took a step back and knew I wanted to take it in a different direction, so I began anew with Nanowrimo in November 2015. You know you mean business when you take on Nano! That left me with 60,000 words and a first draft I could work with. I spent all of 2016 rewriting, editing, refining and sending it to some trusted eyes for second and third and fourth opinions. I began submitting in November of that year and got the deal I hoped for with Urbane Publications in March 2017. They actually contacted me on Saint Patrick’s Day, with that email every author waits and hopes for, ‘We want to publish your book’. I will never forget how that felt. Cue lots of hugging myself with delight, manic giggling and staring off into space with a bottle of wine in one hand and an empty glass in the other. When I first began writing almost 15 years ago, this was the dream. I’ve received my fair share of rejection letters and the silent rejections that never arrive. My dreams have changed over the years and I’ve been so lucky to be a writer during this digital revolution that has given me lots of opportunities to get my writing out there. So after self-publishing two novels myself, collaborating with Urbane on my third book is even sweeter. So, what can I tell you about my new book? Well, I don’t want to give anything away just yet, but anyone who reads my books will know that I deal in escapism and memorable characters. I want to take you away to a place that will open your eyes, your heart and your mind. And of course it wouldn’t be me if there wasn’t a connection to the past and something a little magical. You’ve encouraged me, inspired me and I’m so glad to be a part of this great community. That’s all for now, but don’t worry, I’ll be keeping you up to date with any developments. All that remains for me to say is Happy New Year to you all and don’t forget to mark the 14th June on your calendar! Next Post My Book Has A Face! Exciting news! Happy New Year! 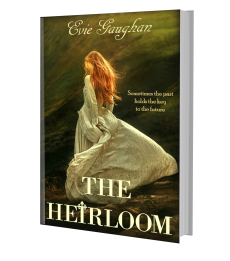 Congratulations, Evie, and all the best for the new novel. Have a fabulous 2018!